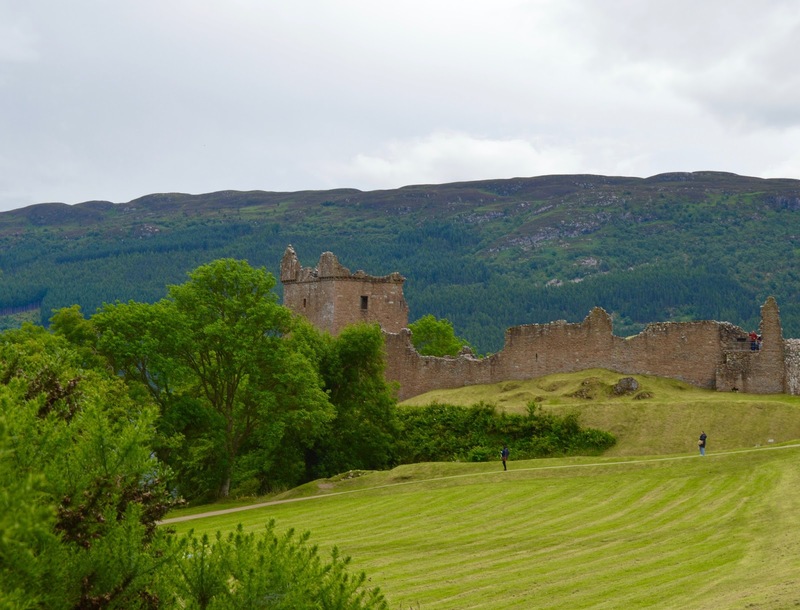 We are huge castle hunters in our house and whenever we visit somewhere, our itinerary will more often than not include a new castle to explore. I just love how walking around a castle really brings history to life. 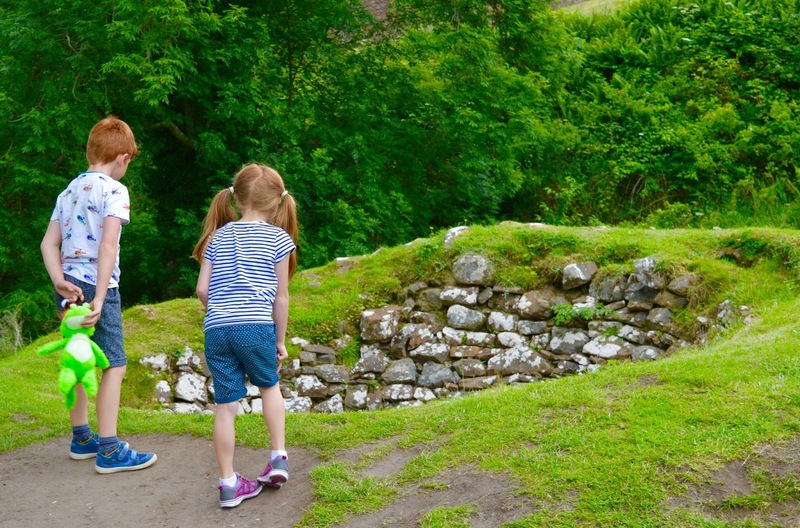 They are fantastic places for kids to burn off some energy and we all usually learn something too. 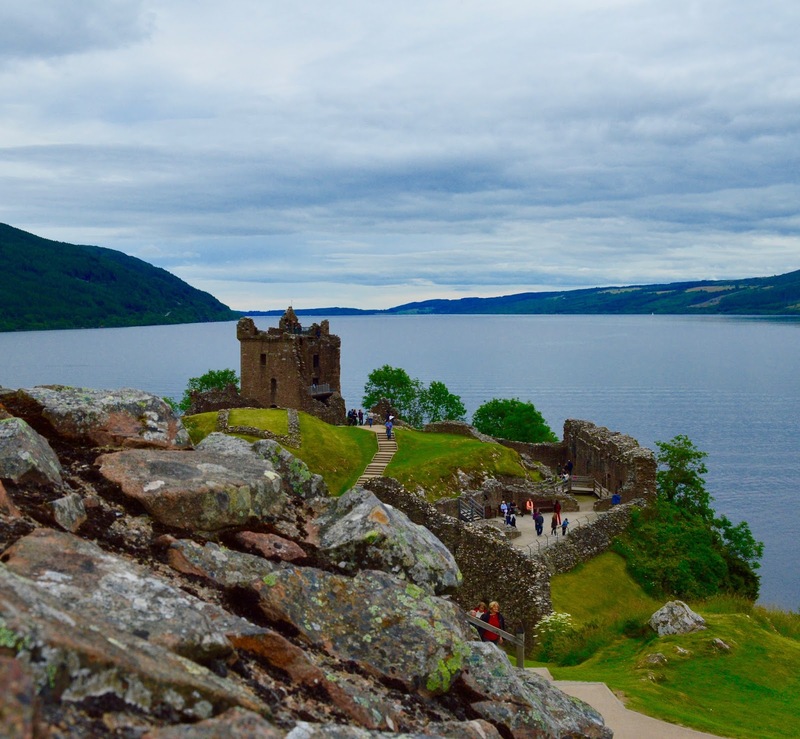 So with this in mind, during our recent trip to Loch Ness, Urquhart Castle which stands on the shores of the loch was for us, must visit. I think we must have picked the busiest day of the year to visit. The car park was HEAVING and I think we waited maybe 30 minutes for a space - I would have liked to have seen parking attendants directing traffic when it was this busy as there were some rather rude people jumping the queue and pushing in. 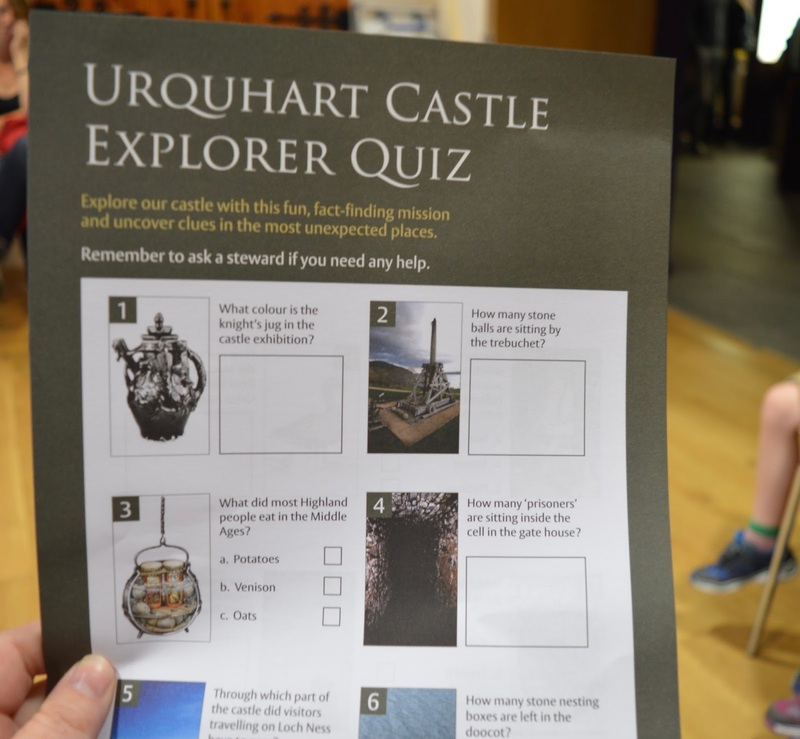 We did eventually find a spot though and ventured into the castle where we were greeted with a smile and our children were handed an explorer quiz (but no pens - so remember to take one). We were recommended to start our afternoon in the film room so headed straight here - it's easy to find just to the side of the gift shop. Here we were treated to a short film describing the volatile history of the castle with a lovely little surprise at the end. 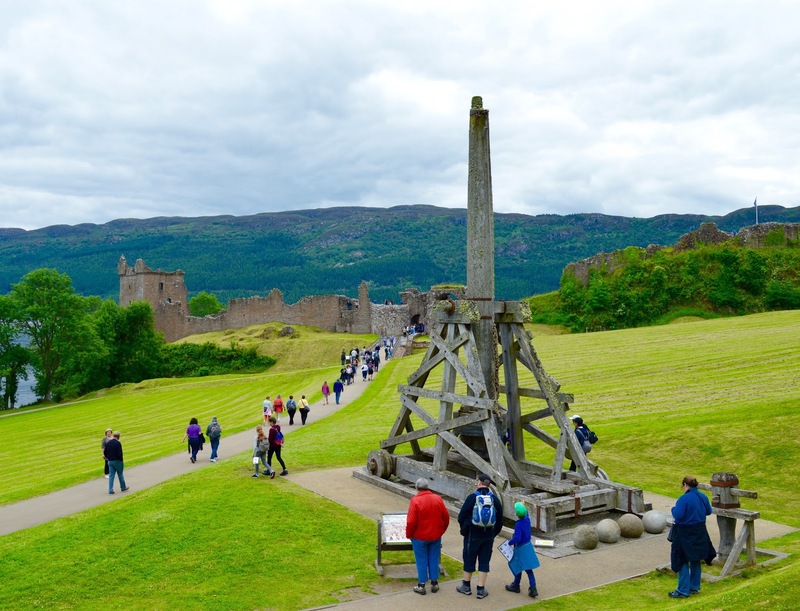 A lovely way to start your castle experience we thought and a very good overview. We then popped to the cafe to pick up a packed lunch - 3 packed lunches for the kids and 2 slices of cake plus drinks set us back just over £20 which we thought was very good value for money. We carried our lunches over to the performance area as we had been advised by reception that a performance would be starting shortly. 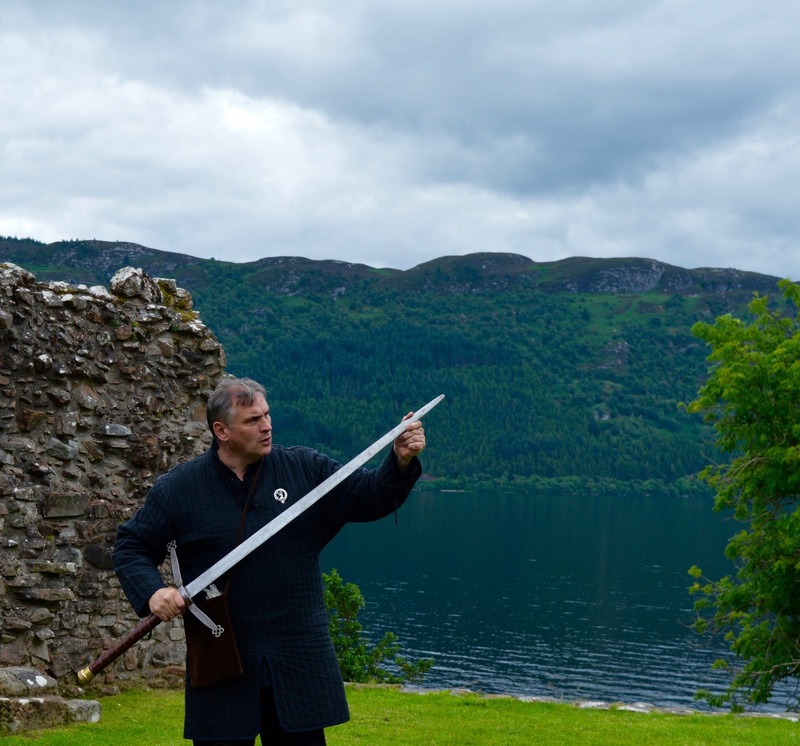 Whilst snacking on our lunch we were treated to a fast paced, engaging and often funny demonstration of medieval weapons, how they were used and some cool facts. There was a bit of audience participation and Jack in particular was enthralled. I love little extras like this that really get the kids involved. 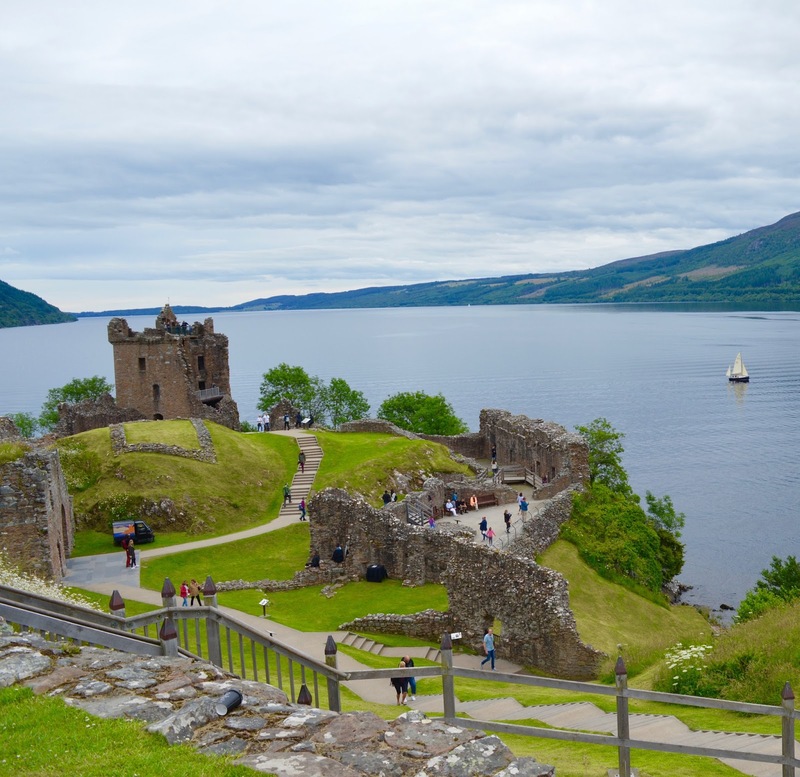 Urquhart castle has to be in one of the most beautiful locations in the world. 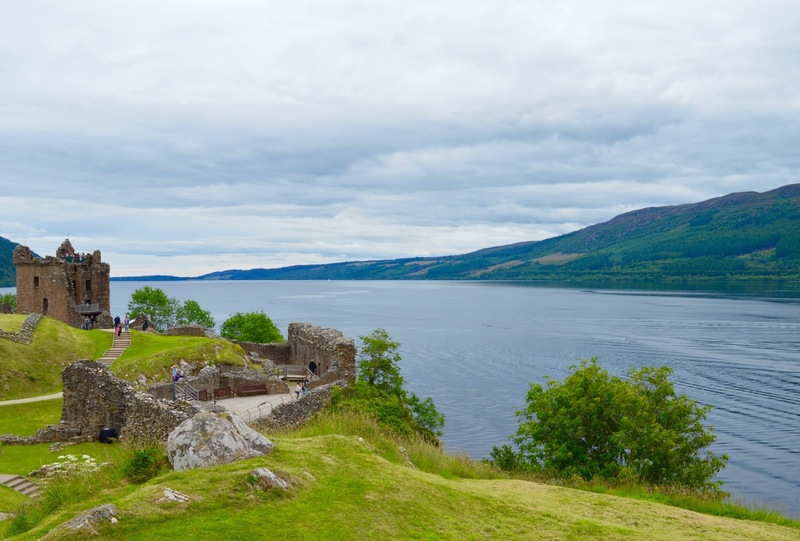 Surrounded by Loch Ness and the surrounding Scottish countryside, I think a visit is worth it simply just for the views. Amazing. 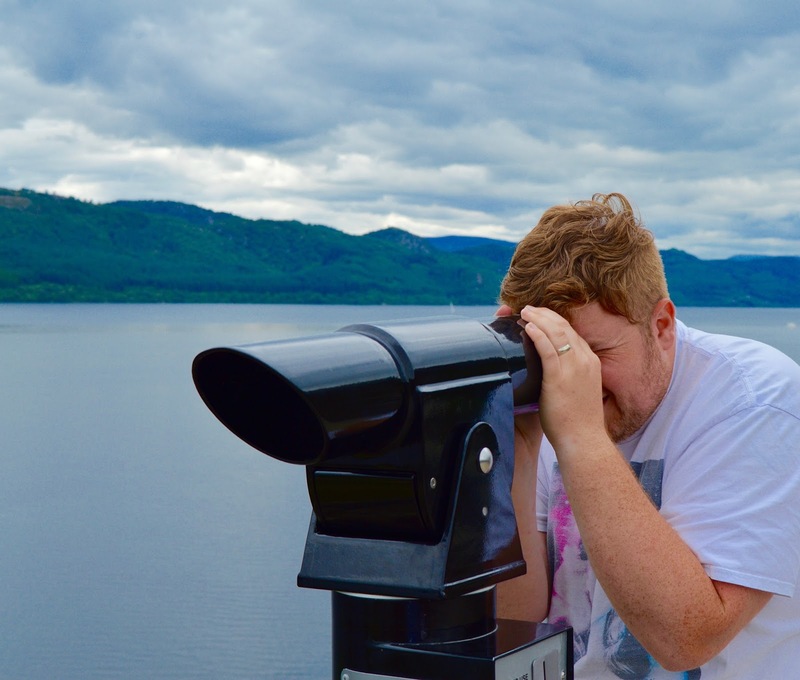 You can pop a £1 into the telescope and enjoy some commentary and have a nosey around the loch which we thought was worth doing. It was VERY busy during our visit as a Disney Cruise ship was in town and there were a fair few organised trips to the castle which meant that taking photographs in the smaller inside rooms was practically impossible - we loved the gloomy prison cell though (and may have threatened to leave Jack there). 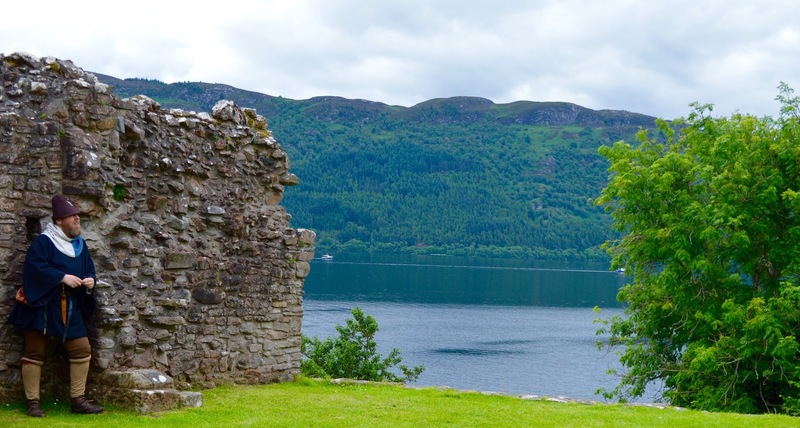 We experienced excellent customer service from the castle staff/volunteers - we couldn't find a bin anywhere to put our empty lunch boxes (why are there never any bins??) and a lovely staff member noticed we were struggling and took the empty boxes off our hands. 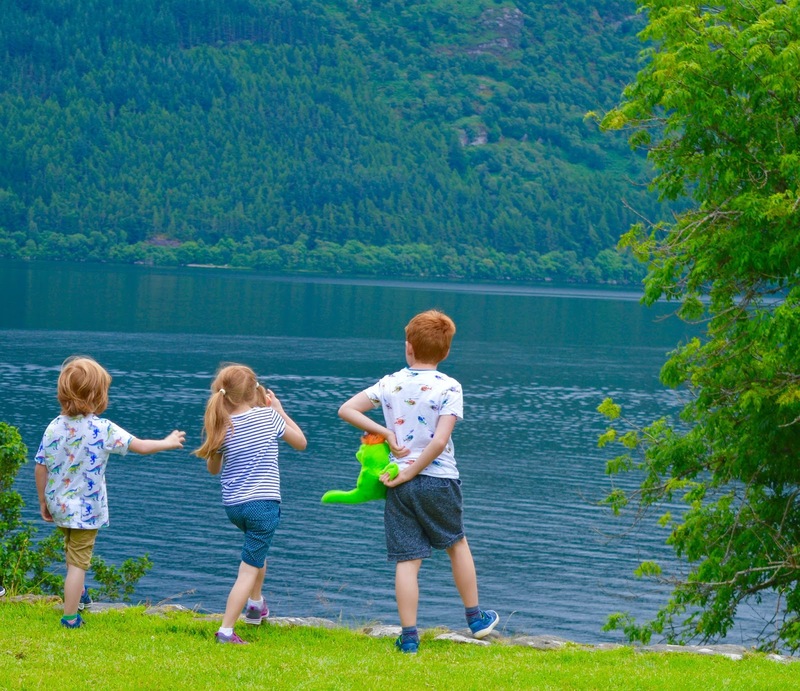 This was hugely appreciated as the kids would have moaned the whole time had they been forced to carry their rubbish around with them when they could have been climbing castle walls and cartwheeling on the grass instead. 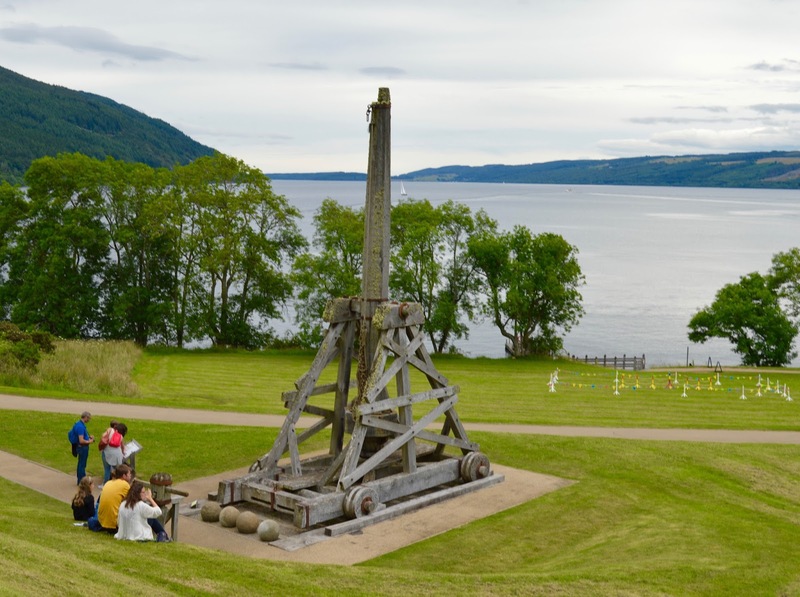 Urquhart Castle is home to a full size working trebuchet (stone throwing machine) and it really was interesting to see one up close - we all had different ideas of how it would be used to fight various enemies and intruders and were inspired to tell each other stories that night involving action-packed castle battles. Just like at Hadrian's Wall - the kids also discovered their very own hot tub (pretty sure it isn't actually a hot tub, but that's what they like to think they are). 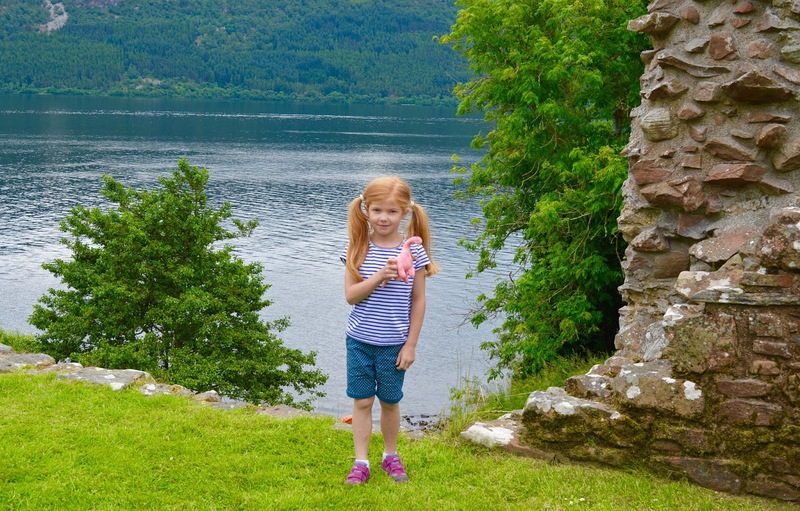 Entry to Urquhart Castle is £8.50 per adult, £5.10 for children with under 5's going free. 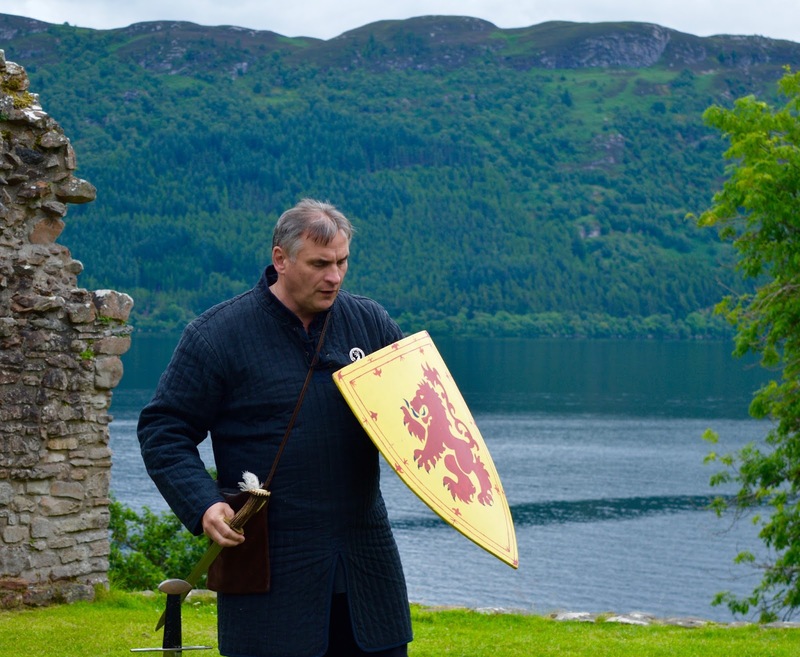 If you are a Historic Scotland member or Explorer Pass holder, entry is FREE. 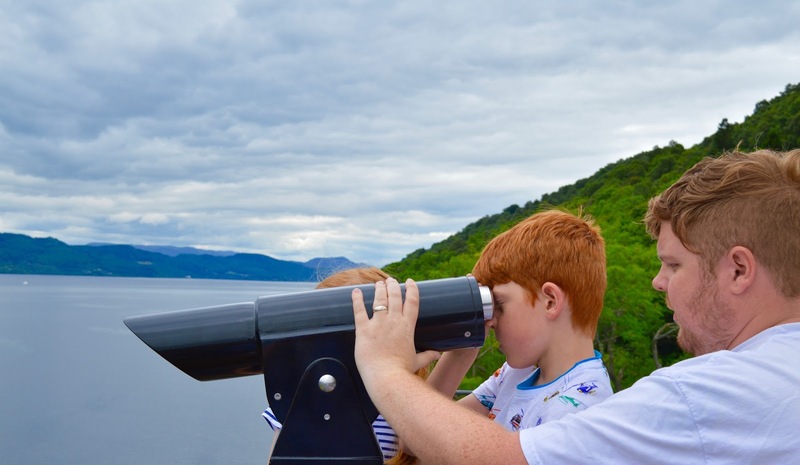 We throughly enjoyed our afternoon at Urquhart Castle and it was here where we enjoyed the best views of our entire Loch Ness trip. 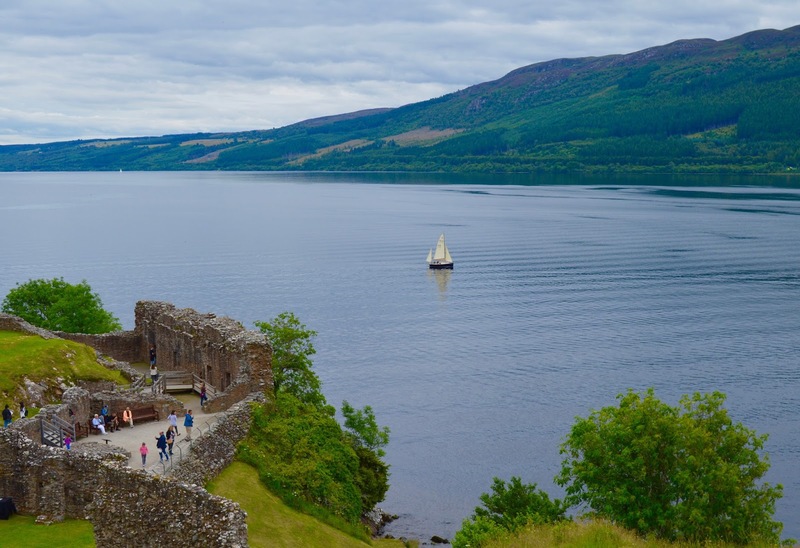 I would recommend visiting both Urquhart Castle and the Loch Ness Visitor Centre & Exhibition on the same day as they are only a few miles apart and both fantastic attractions. 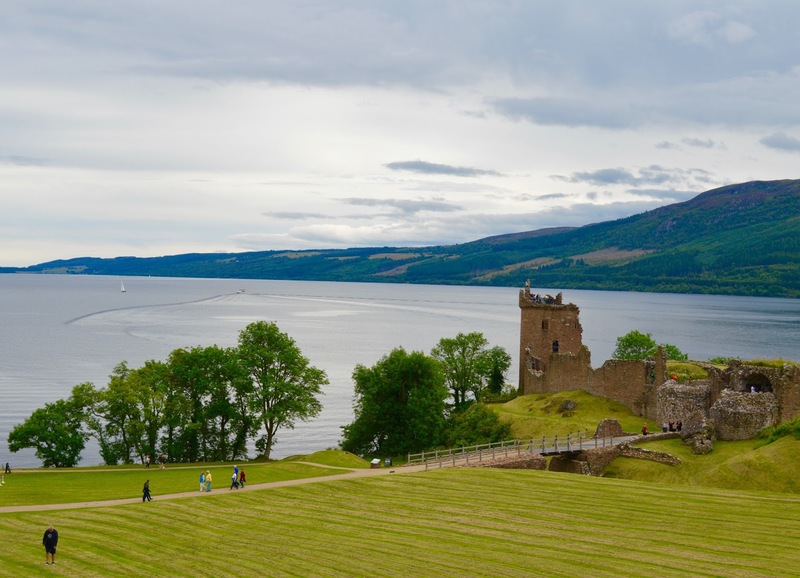 Find out more about Urquhart Castle here. 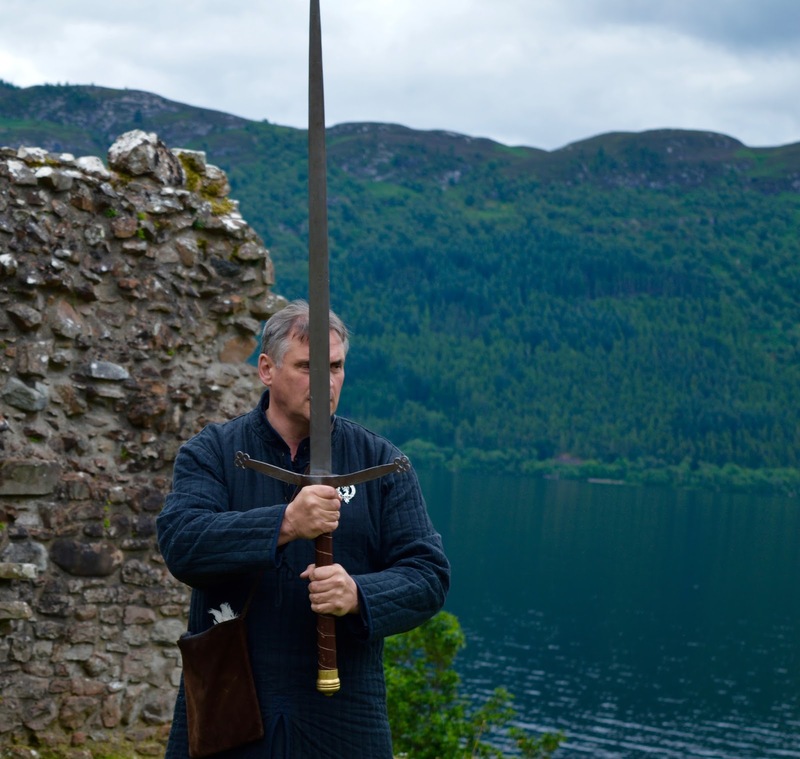 Disclosure: We were guests of Urquhart Castle. What stunning scenery. I really wanted to visit Scotland this year, but sadly didn't get a chance. Next year! Wow, that is the most beautiful castle I have ever seen! 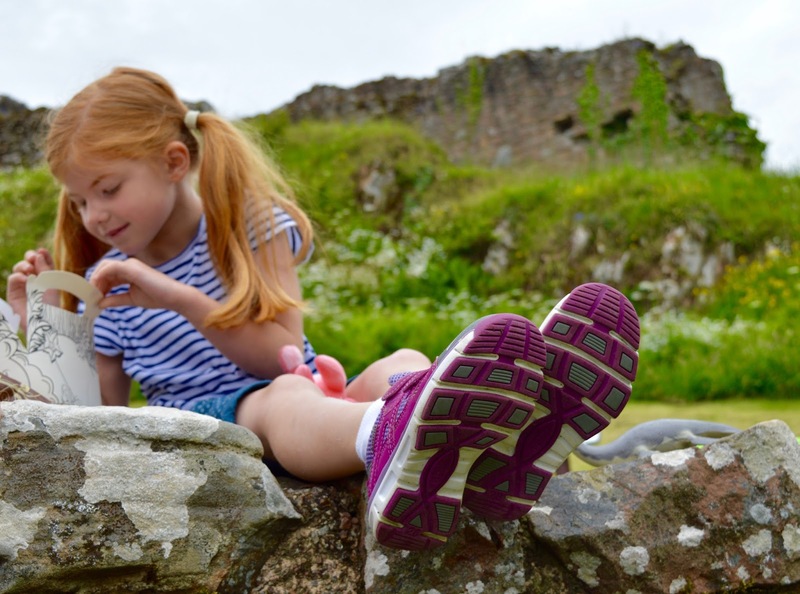 We're big fans of castles too, doesn't matter how old I am, I will never grow out of running about castles pretending I'm a princess, they're just so magical. Simon has promised to take me to some really stunning castles on the coast in Wales one day ... definitely holding him to it!